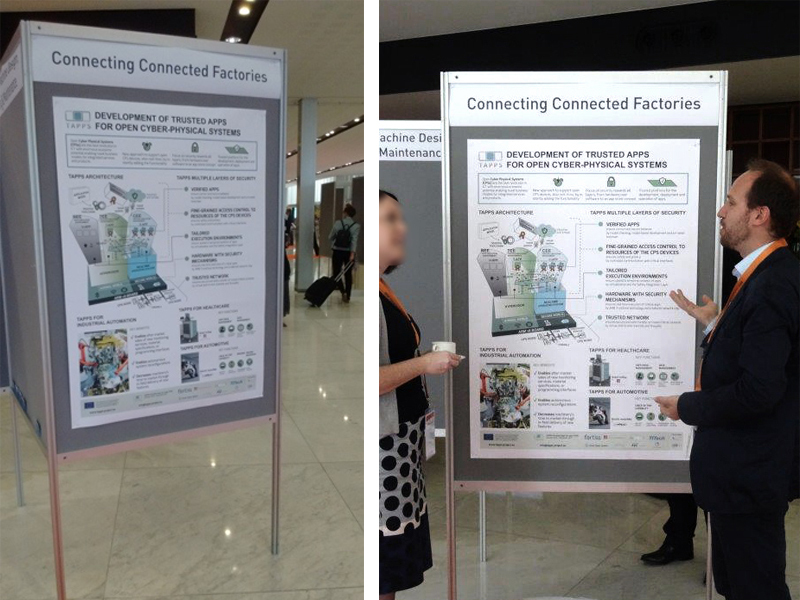 The European Conference Industrial Technologies 2016 is the largest networking conference in the field of new technologies, materials, nanotechnology, biotechnology and digitalization in Europe. The conference was organized as an associated event of the Netherlands Presidency of the Council of the European Union in the first half of 2016. The conference was held on 22 – 24 June 2016 in the RAI Amsterdam, The Netherlands. The three day conference provided a wide variety of plenary and interactive workshops, interesting key note speakers, poster sessions, company exhibition and many opportunities to get into contact with new potential business partners. The TAPPS project was given the possibility to present results at the poster session at the exhibition. Together with many interesting topics, the TAPPS poster highlighted the results so far from the project. The numerous visitors at the TAPPS poster varied from industry, academia, research up to policy makers. Intensive discussions took place among others regarding the underlying technologies implemented in the project (e.g. distributed communication, mixed-criticality, etc.) and the applicability and usability of CPS in manufacturing processes. Click here to see the poster in high definition. As explained in the first post, the Smart Trolley is one of TAPPS case studies. A strong consortium of Italian SMEs (Small-Medium Enterprises) has developed its prototype, under the management of Ospedale San Raffaele. In the previous weeks, the project has been presented in the contest Odysseus 2016: navigare nelle idee (i.e. surfing in the ideas). Odysseus aims at finding fresh and innovative ideas that bring together SMEs, technology and values for the development and growth of smart societies. In this context, the Smart Trolley is a healthcare example that enriches the actual therapy trolley. 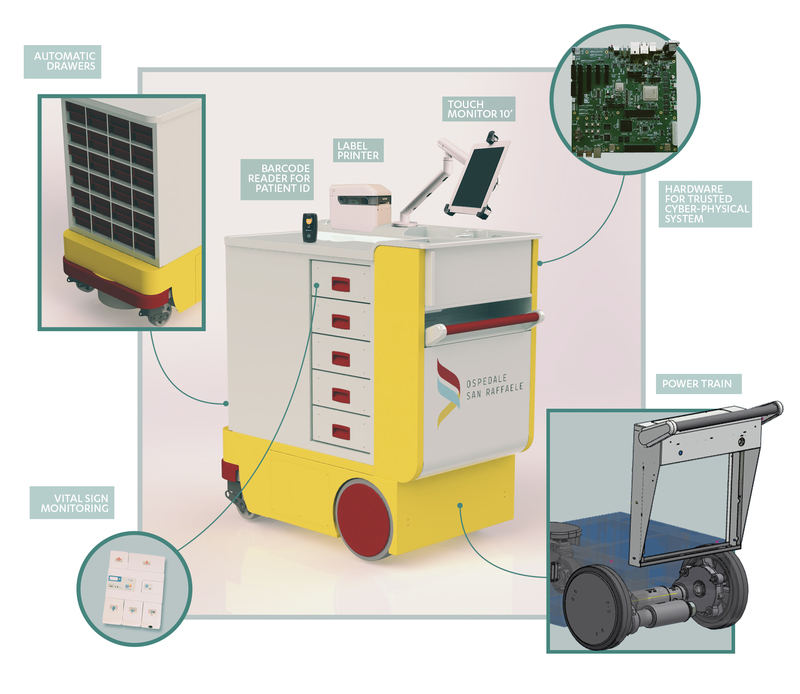 In fact, the trolley is a Cyber-Physical System that reduces medication errors, enhances the standards of quality during patient care and ensures efficiency, security during all phases of patient therapy. 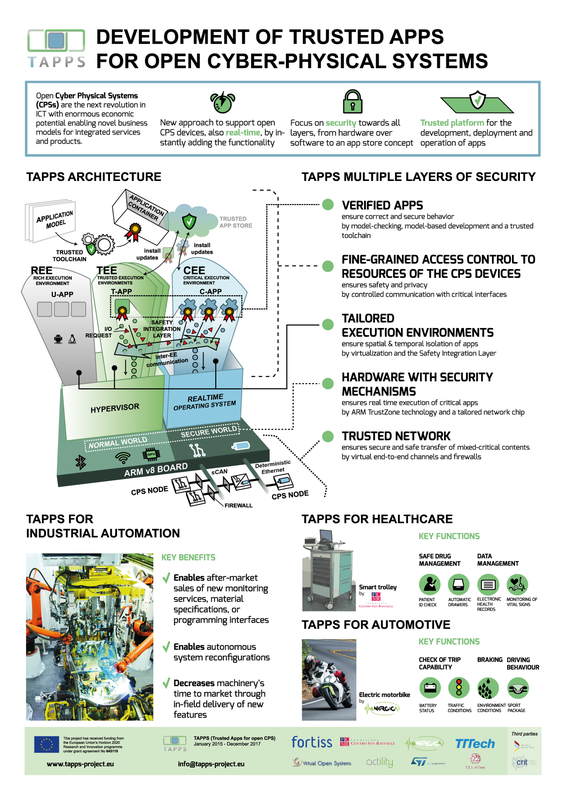 Thanks to TAPPS architecture, the interaction between the therapy application and the actuation of automatic drawers is secured and controlled by independent security layers (see front page of TAPPS website for TAPPS architecture and key elements). As for now, the proposal of Smart Trolley is under examination by the Commission of Odysseus 2016. If accepted, it will be presented in Bergamo, October 3rd 2016.